In 2014 Vegabond opened its doors and since then it has been quite popular under local vegans. And you can see why; next to the quality food, it’s quiet, has kind girls behind the counter and there’s a bit of a serene vibe. The store is located at the beautiful canal Leliegracht, around the corner of Anne Frank’s House. When you decide to have lunch you can enjoy a great view over the water as you are seated next to the huge windows. 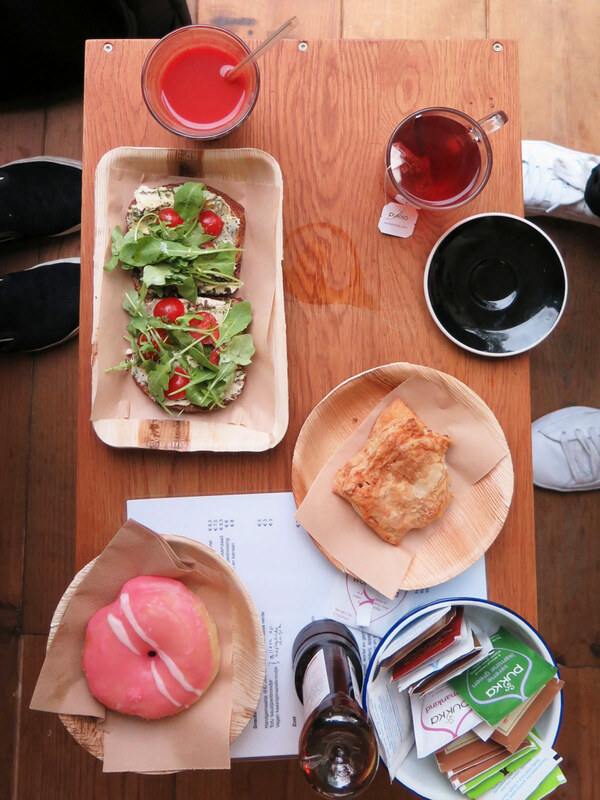 We took a look at the menu and the vitrine in the shop and ordered the handmade cashewnut-pesto-ricotta sandwich, the sausage roll (yes, vegan sausage) and one pink glazed donut; when you see it, you got to have it. It all proved you don’t need meat or dairy products to have yourself a gorgeous meal. 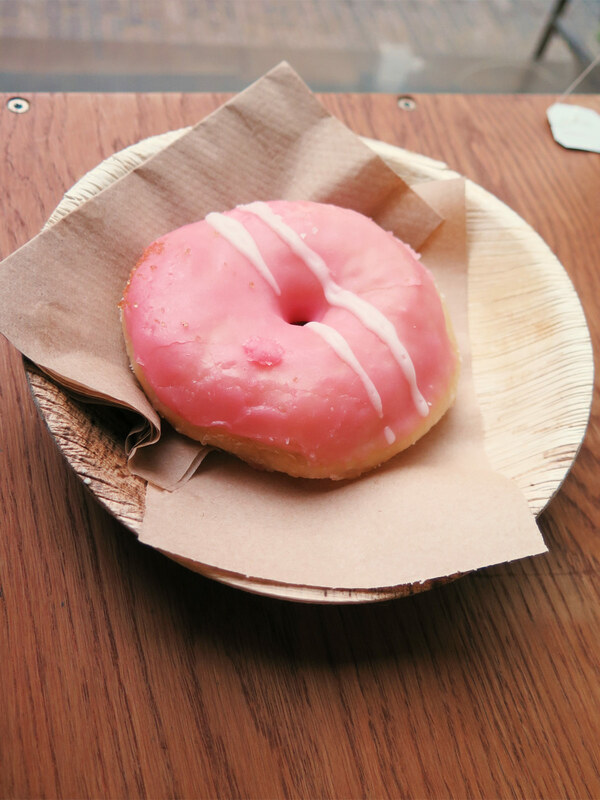 And although a donut is not really a meal: Take the donut, your sweet tooth will be pleased. It’s not cheap or anything but if you consider the realness of the food, it’s much worth it. 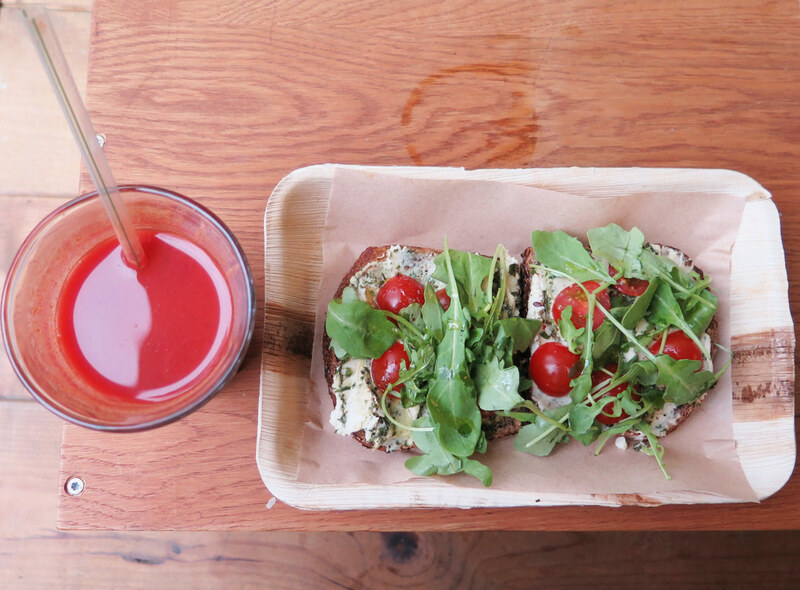 To conclude, Vegabond is a beautifully located, 100% vegan place where you’re up for a chilled lunch or store stroll. If you are a vegan food lover and going to explore the canals of Amsterdam, at least hop in and have a look at the assortment. You don’t have to get a full lunch, you can also grab a raw vegan candy bar or donut for the road. Check out more vegan spots in Amsterdam? 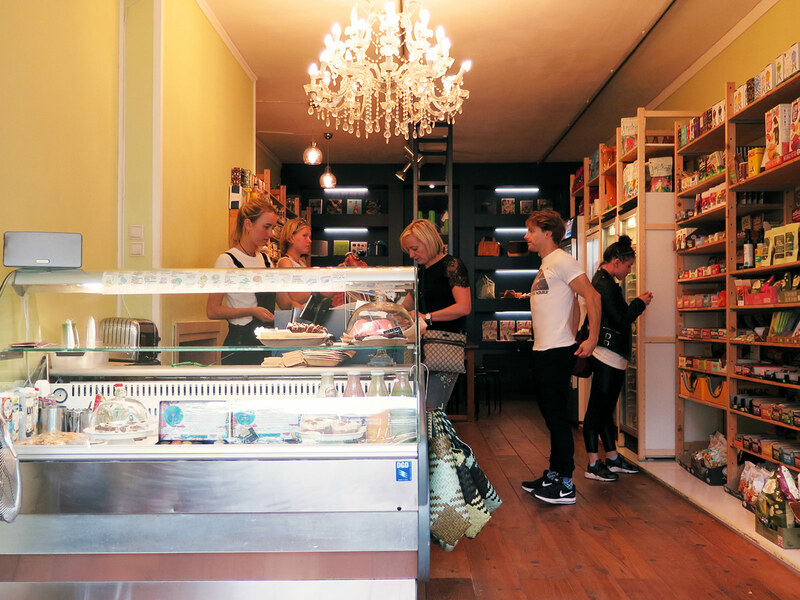 Read about Meatless District, a vegan restaurant in Amsterdam West. And stay tuned, ’cause there’ll be more articles coming soon! Pingback: Meatless District | Is this 100% Vegan Restaurant in Amsterdam West the most classiest of the city?